Zoning is the most important tool available to planners to affect future physical growth. In a major revision of the zoning law in 1961, the City Planning Department developed strategies that used Special Districts and incentives for bonus space to motivate the private market to respond to their goals. 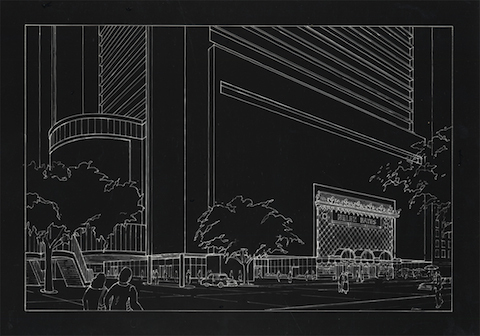 In 1980, new rules were drafted to encourage high-rise development in Midtown, and in 1982, a Special District was approved that offered bonus floor space for developers who included new theaters in their projects. This incentive threatened historic theaters, however, since they were mostly low-rise structures occupying land that had the potential for a "higher use," i.e., skyscrapers. Preservationists, theater owners, actors, and other activists found themselves with shared and conflicting interests. For the large theater owners and producers, their physical properties were both businesses and real estate assets. For actors, the survival of Broadway meant jobs, but many also campaigned to preserve the ornate early 20th century theaters. 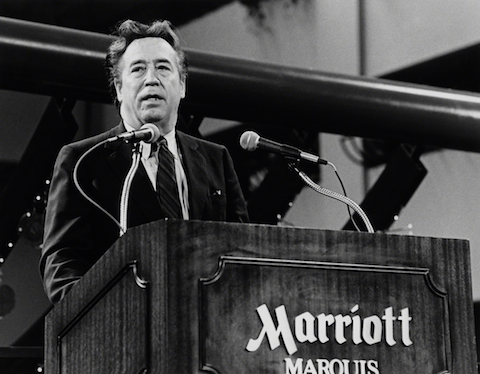 The demolition of the Morosco and Helen Hayes in 1982 for the Portman Marriott Marquis hotel especially ignited protests, including the one documented in the photographs here of the famed producer Joseph Papp interviewed at the demonstration. 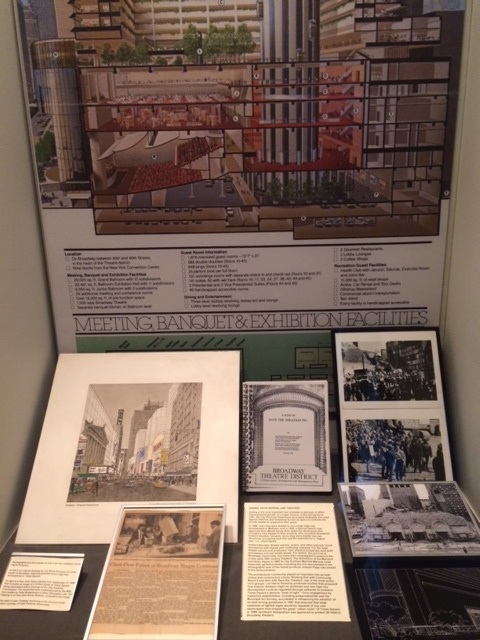 Top left: Pomeroy Broadway Study Rendering, circa 1982. Lee Harris Pomeroy. 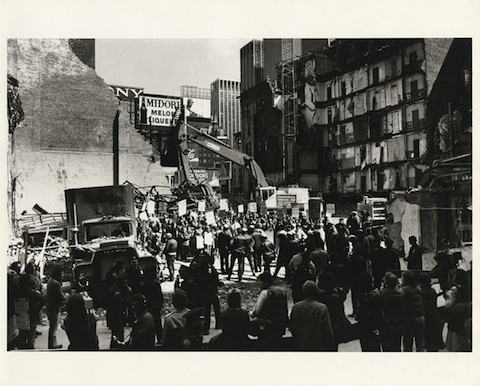 Bottom left: Broadway Theater Demolition Protest, Circa 1982. Lee Harris Pomeroy. 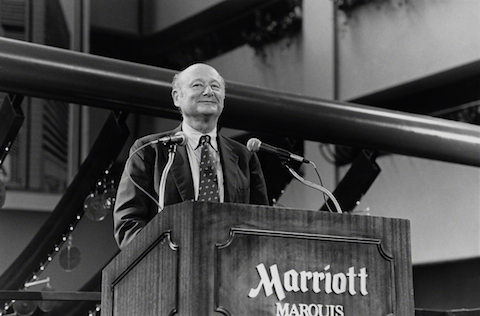 Mayor Koch and John Portman speaking at the opening in 1985.